Large - $53.99 Only 4 left! If you're like us, you might have been a little disappointed when eternal winter was thwarted and Arendelle returned to normal, because it seemed like we might have to wait forever for Anna and Elsa to resume their adventures. Luckily, every day is the perfect opportunity for a little Frozen fun when you've got the power to conjure ice and snow, even if you're feeling a bit under the weather! So we were truly delighted when the Fever short brought us a musical glimpse of Anna and Elsa's life in the off-season. And even though we loved the characters' looks in the feature film, we were charmed by the temperate green of the sisters' dresses in the short. You may still be too young to spell Happy Birthday, Anna (or even Dry Banana Hippy Hat! 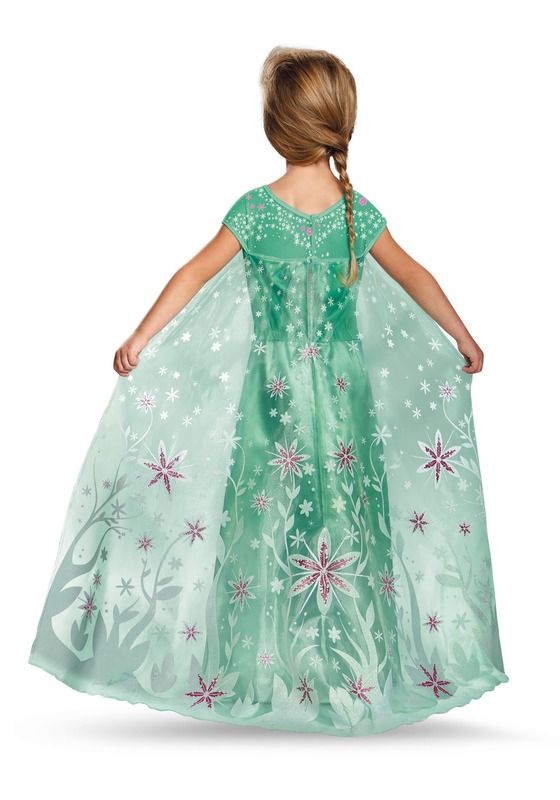 ), but you'll look suitably festive at her surprise party in this verdant gown showered with snowflake-shaped flowers. Since a regal cape is already included, a pair of matching slippers or tiara is all you need to round out this great outfit! Hopefully, it won't be too much longer before we get another, much longer update on the gang's continuing story. 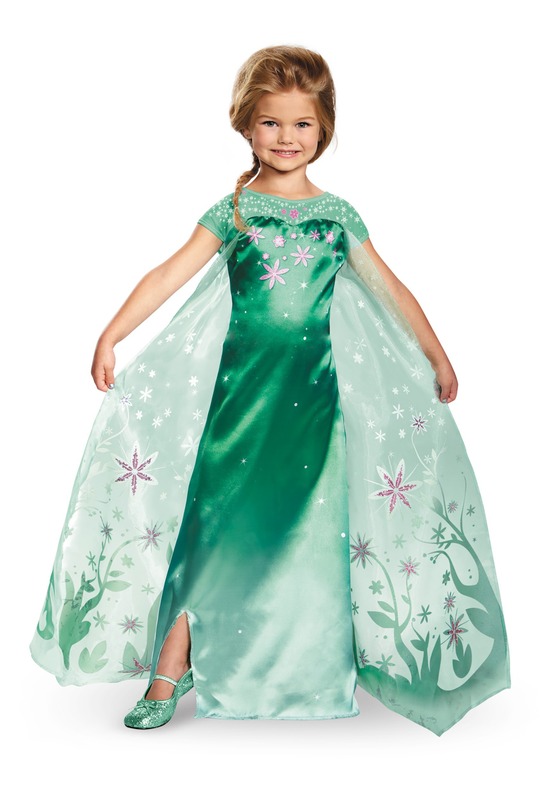 But if we're going to have to wait, we'd rather do it wearing a stylish new Frozen outfit like this one, fit for a queen. We're guessing that the same goes for you (and your new army of tiny snow-creatures). Now get some rest: your people need you to stay healthy!